1. Using small group Bible study cells where a group of Christians meet in a home and invite non-Christians to learn, predates both Living Hope and G12 "Cellular Vision" of César Castellanos. 2. This simple and effective format has been used by many churches. 3. However, the pyramidic organization of a Head Pastor over 12 and 12 etc. is non-biblical. The church of the Bible featured a plurality of equal elders, none of which were higher or lower in rank or authority than the other. 1. The head Pastor and leaders are directly inspired by God as prophets and claim direct illumination from the Holy Spirit. While this clearly happened in the first century, it does not happen today. Bible prophets wrote Bible books, made major predictions that came true for the entire world to see. 1 Cor 13:8-12. 2. Slain in the Spirit is a non-biblical practice where a leader causes a person to fall backwards and lay paralyzed on the floor. No one in the Bible was ever thrown backwards by the power of God. There are examples of being thrown forward to the ground by the Holy Spirit, but these were the enemies of God at the arrest of Jesus as a condemnation warning, not a blessing. Slain in the spirit is practiced my many non-Christian pagan occultic Eastern and African religions today where the observer cannot see any difference with what is practiced in Living Hope Christian Assembly. 3. Tongue speaking as gibberish. The 12 apostles spoke in tongues on the day of Pentecost (Acts 2) but they spoke real human languages. The Bible said that when the revelation of God was complete (around AD 100) that tongues would cease: 1 Cor 13:8-12. Tongue speaking today is actually music not language. Studies have been carried out examining the phonic sounds of a sample set of prolific tongue speakers. It was observed that each person made a finite and fixed number of sounds that were repeated exactly in organized strings. It became clear, that each sound was like a key on a piano and the tongue speaker created music, not language. It became 100% clear that tongue speaking was not language and did not have its origin in the Holy Spirit. It was further observed that the number of “note” each tongue speaker “played” were dependent on their imagination and creativity and ethnic background. Those tongue speakers who spoke non-English languages (second and third languages) sounded far more authentic, than those who spoke English only. 4. Mandatory 10% Tithing: Tithing is an Old Testament Jewish practice that is abolished by Christ at the cross. (Col 2:14) Tithing is forbidden in the New Testament: 2 Cor 9:7. The early church practiced freewill offerings where each person decided for themselves, between them and God, what they would give each first day of the week: 1 Cor 16:1-2. 5. Communion four times a year: The church in the Bible and historically up to the 1800’s practiced weekly communion: Acts 20:7. 6. Women pastors: Women pastors are forbidden in the Bible: 1 Tim 2:11-12. Pastors (also called overseers and elders) must be married men with believing children among a long is of other requirements. 1 Tim 3:1-7; Titus 1:6-9. This checklist of qualification categorically rules out women as pastors, preachers etc. and was the historic practice in the church up to the 1800’s. Today churches throw all the Bible rules out the window to be culturally and politically correct. 7. Salvation by faith only without and before repentance, confession and water baptism: The church in the Bible taught that you cannot be saved by faith only (Jas 2:24) but that you needed to believe in Jesus (Mk 16:16), repent of your sins (Luke 13:3; Acts 2:38), confess the name of Jesus (Rom 10:9-10) and be immersed in water for remission of sins (Acts 2:38; 22:16, 1 Pe 3:21). All of this is ignored for their direct from the Holy Spirit “feeling oriented” salvation practiced by many denominations of contradictory theology. 1. Have you read the doctrine statement [Statement of Beliefs] of the MFI leadership team? Today, the doctrinal statement of Living Hope Christian Assembly is essentially identical to that of MFI. 2. 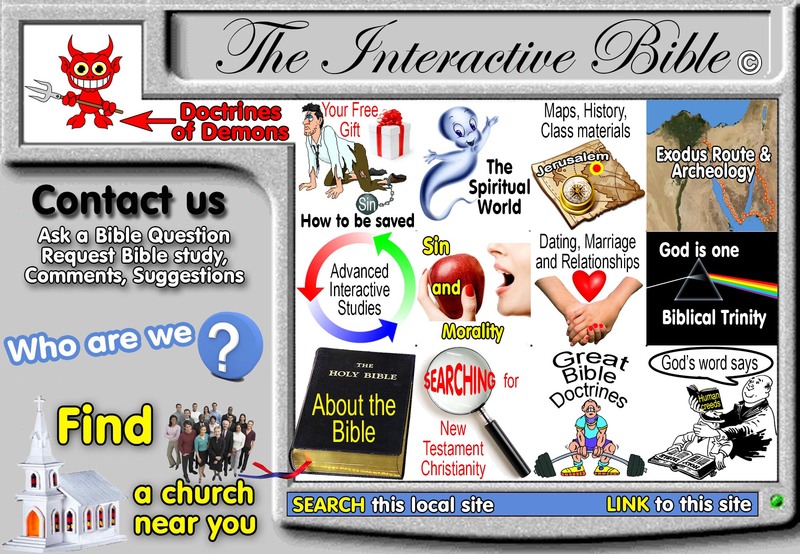 Do you have any questions with the basic doctrine [ie. As listed in Statement of Beliefs] the leadership team agrees on? 3. MFI as an organization does not ask every pastor to hold the same doctrinal stance on everything, however we should agree on the basics [ie. The Statement of Beliefs]. 3. Responsibilities of Cell Leader: Each leader has three main responsibilities. The first is to meet once a week with his or her own leader (to whose group of twelve he or she belongs); second, to direct his or her own weekly cell group; and third, to meet with his or her own twelve disciples once a week. Once a leader has his or her twelve, he or she will have to help his or her twelve to each select their own twelve, until the number of people under him or her reach 144 subordinates (with the leader at the top of the pyramid). At that point, the leader no longer directs his or her own cell group, but continues to supervise his or her own twelve to assure that all is running correctly. 1. This is the basic model of organization used by Living Hope Christian Assembly on Garth St. Hamilton, Ontario. 2. Today, Living Hope Christian Assembly has broken all public associative ties with “Ministers Fellowship International, MFI” and the “G12” movement of César Castellanos. But don’t let that fool you because the theology and organization is essentially the same before they “went into the closet” to hide their roots, organization and theology from the public. Today, the website of the Living Hope Christian Assembly is stripped of all association, theological statements of faith “What we believe” and simply says: “Our Connect Groups (C Groups) meet bi-weekly in homes around the city”. What was once called a “Cell Group” is now redefined as “Connect Groups (C Groups). As rose by any other name is still a rose. Theology is essentially identical with the MFI doctrinal statement and several statements are identical word for word. Other statements have been modified to fit the G12 concept. 11. We believe in the operation of the gifts of the Spirit as enumerated in I Cor. 12-14, as manifested in the early church. 3. The local church is completely autonomous, that is, it is self-governing, self-supporting and self- propagating in its mature state.